If you just want to get out of the mixed up life of some of the world’s busiest towns into a legendary location with some touch of historical charm and a bit of modern twists, St Tropez is that place. And it doesn’t just stop there. You can get that high end life that in itself inspires that holiday feeling whether you take a trip to the beach or stay in the town dotted with cafes and wonderful hotels. In images, we have it all for you. Our rich St Tropez art gallery makes it possible for you to capture some of the best elements about the town and bring it right to your wall. Think of having "Colors of Saint Tropez" by Margo Balcerek or "Fenetres de St. Tropez" by Max Hayslette on your wall. 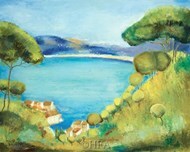 These St Tropez pictures are definitely what you need to make your wall more appealing to yourself and your visitors. 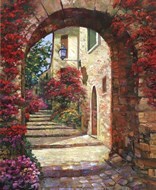 You can have these St Tropez images in your office, hotel, cafe, home, or any other location you deem fit. The great thing about these images is that they come in different sizes. That means there is definitely something for the space on your wall. They also come in different color shades and orientation. To get the maximum out of your selected images of St Tropez you can add some allure by having the artworks framed using frames of your chosen color. This magically allows you to match things up and make your room look even more attractive. You can also have your St Tropez poster printed on canvas or laminated. With canvas you can have it unstretched, gallery wrap, museum wrap, or better still, framed. Lamination does more to protect your artwork, make it more portable, and glossier.